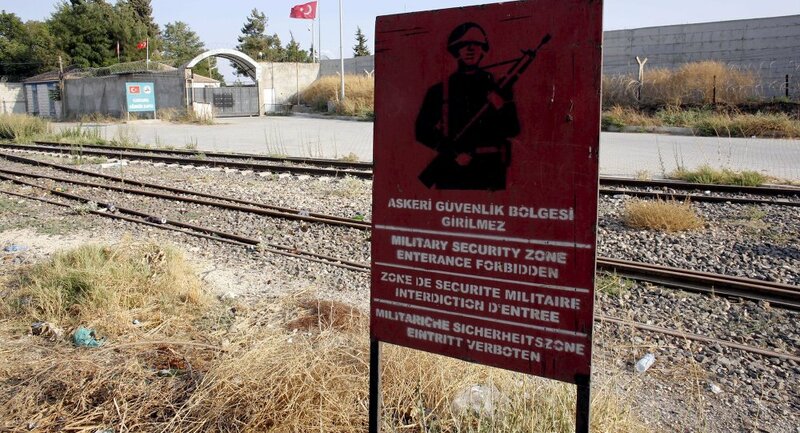 Turkey has begun the construction of a concrete wall on the border with Syria following a surge in terror attacks in the country's southern regions, local media reported. MOSCOW (Sputnik) — According to Anadolu Agency, the construction of a 10-foot wall stretching some 5 miles began Thursday as part of security measures tightening the border following a series of deadly terror attacks. Turkey's anti-terror efforts were prompted by a recent Islamic State suicide bombing in the town of Suruc on the border with Syria, which killed 32 people and left 100 wounded. Two days later, two police officers were murdered in the southern city of Ceylanpinar. The Kurdistan Workers Party (PKK) claimed responsibility for the attack, justifying the killings with claims of the murdered officers' support of ISIL. In response to the attacks, Turkey launched airstrikes against the PKK and ISIL positions in the Middle East. It has also conducted nationwide anti-terror raids across the country.